The top question on everyone's mind when talking to a Real Estate person is "What's my house worth now?" This question is further developed when considering selling. Every homeowner wants to achieve the best return on the sale of their property. Various articles have reported and suggested many different strategies to achieve the highest sale price in the market but what is the "Sweet Spot" in pricing your home to sell? We have heard and seen many commercials… but what is the reality between the one property that attaches to the "bragging rights" and all the other sales in the marketplace which are not identified? The local real estate market has seen many changing dynamics over the past few months. My concern is that often a homeowner does not drill down in the discussion to identify the context, timing, or relevancy of some of this information. In the past year, the real estate market has gone from one of the strongest Sellers' Markets to a more balanced market to arguably sliding into a Buyers' Market. Each of these markets require a well studied analysis of the facts to bring forward the best strategy for the home owner looking to sell. Every property is different and potential purchasers may respond to each property in a different fashion. Therefore, one must consider all the options when pricing their home. The value obtained by the home owner up the street is not always the "bench mark" to guide your decision making. Your home could establish a new value level if priced properly to maximize the "Buyer Attention". However, the reverse is also true. I have heard some of these thoughts: A) Pricing a home too high can deter people from viewing it. 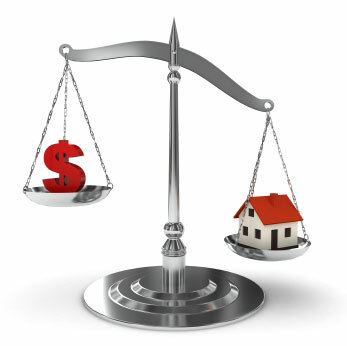 B) Pricing a home at the low end can attract multiple offers and thereby boost the sale price&hellip; not always possible. C) Market and Price the home to attract an "out of area buyer"&hellip; i.e. perhaps from Toronto where the average house price is higher. There is no "sweet spot" pricing. A homeowner should consider all the facts and determine what the suggested honest range of value for the property is in the existing market area. The market conditions, including the economic landscape will contribute to the outcome. Based on that range of value and the potential time available to "test" the market, start with a list price which maximizes the possible interest from buyers and has the potential to achieve the highest and best value on the sale. Know the facts. Work with one of our knowledgeable Sales Representatives to achieve the best outcome. If you would like a free no obligation estimation of your home's value please complete our simple online Home Evaluation Request form. Bay Observer Article – written by Judy Marsales, Broker of Record, Judy Marsales Real Estate Ltd. Judy is a frequent contributor of articles on the Bay Observer website.